Chelsea We are excited to welcome Chelsea to our team! She joined our front office in January 2019. Chelsea is originally from Frisco, TX and currently resides in McKinney. With previous experience in the medical field, she has jumped right into the wonderful world of dentistry and absolutely loves it. Chelsea, and her boyfriend, Mark, love animals and have a sweet fur baby named Douglas. She enjoys going to check out the newest movies, spending time with family and traveling the globe with friends. Chelsea loves the challenge of trying something new and jumped at the chance to work with Dr. Toney and our team. She has already fallen in love with our amazing patients. Laura, Patient Relations Laura was born and raised in Plano, TX and is proud to be a native Texan. She has been dedicated to serving others in the dental field since 1997. After 11 years in the orthodontic field, she joined our team in 2009 and is excited to learn something new every day. 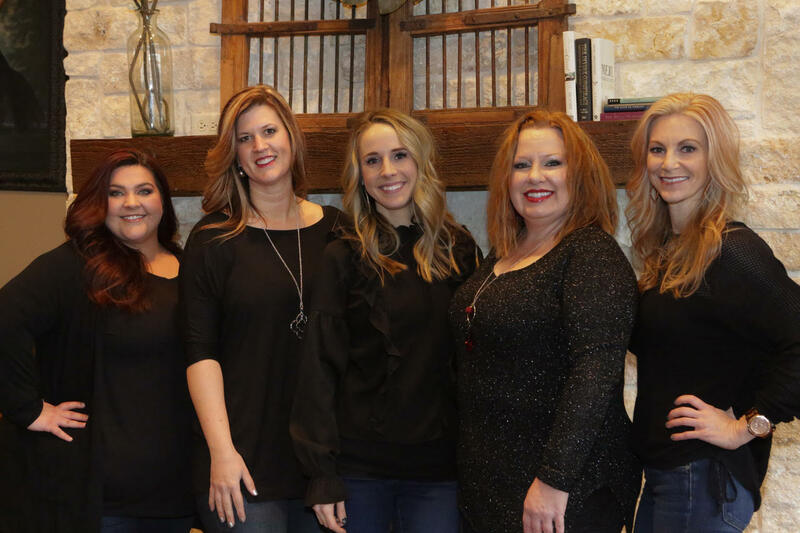 Laura prides herself in taking exceptional care of her patients as well as her wonderful team. Her motto is “If you love what you do, you’ll never work a day in your life.” Laura spends her spare time relaxing at the lake with her husband, Jason, and their kids, Brooke and Jax. Laura works remotely to assist Dr. Toney and the practice. Lauren, Hygiene Coordinator Lauren joined our team in March 2016 and is new to the dental field. She grew up in Allen and is an Allen Eagle Alumni. Lauren has a young daugher, Jailynn who attends school in Wylie. On a typical weekend, Lauren enjoys spending time with her family or doing fun home improvement projects. Aside from staying busy with her daughter, Lauren’s dad had a heart transplant in 2014, which has heavily influenced Lauren’s passion for organ donation. Lauren has become a strong advocate for organ donation and is continuously trying to spread awareness. She just recently got married to her best friend, CJ. Tammy, Financial Coordinator Tammy has been dedicated to the dental field since 1991. She initially entered dentistry as the hygiene coordinator for Dr. Toney just out of high school and worked with us for about three years. She aquired a multitude of knowledge and skills in dentistry the last 20+ years that are extremely valuable. She returned to our office in 2013 as our Financial/Insurance Coordinator. Tammy was raised and still resides in Anna, Texas. She stays very busy with her two grown sons, Jordan and Jake. She loves animals as she has four dogs, 2 cats, a turtle and two aquariums. In her free time, she enjoys movies, shopping, documentaries, going to the gym and making her holiday festive crafts. Brandy, Treatment Coordinator Brandy has been in the dental field since 2002 and joined our team in Feb. 2018. She grew up in Westminster and currently resides in McKinney and has so for the past 20+ years. She has a grown son, Trevor, who is finishing up school at the University of North Texas and she also has 2 fur babies, Sophie & Spencer. Brandy enjoys working out, is currently going to college part time, and loves to travel any chance she can get. She also enjoys spending time with friends in her free time.